With the holidays can often come house guests, which means you need to be prepared to ensure their stay with you is as comfortable as possible. You'd be surprised how little things can show guests that you've taken the time to think about their needs and understand what it means to entertain. (By the way, Vogue's Book of Etiquette has some great tips on this topic.) Here's what I suggest you consider for making guests feel at home. Plush, white towels. There's something about cozy, white towels that give off a luxurious vibe and make people feel special. Stack a few in the bathroom for a spa-like feel. Why should they just be reserved for hotel stays? Candles. Everyone feels more relaxed when a candle's burning. Whether you have a few lit during dinner or in the bathroom when guests arrive, it's an easy way to help guests unwind. If you prefer scented candles, my favorite is Votivo's Island Grapefruit. One good robe. I love nothing more during the winter months than a soft robe, especially when I'm hopping out of the shower or having breakfast. Consider having a robe or two handy for guests when they're lounging around your place. I'm sure they'll thank you for it. Liquid hand soap. One of my top pet peeves is using someone's bathroom and being left to find that in lieu of a simple bottle of liquid hand soap, I'm being forced to use bar soap. Being the germaphobe that I am, the idea of using a soap bar after a trillion people isn't appealing to me at all. I love the liquid olive soaps from Savon de Marseille. They're lightly scented and extremely gentle on your skin. You can't go wrong with the lavender version. There's nothing I love more than a warm and cozy throw. 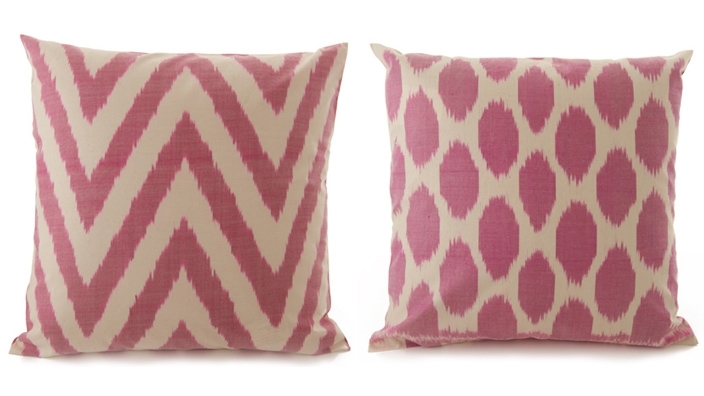 And when it's as stylish as this chevron one from Tory Burch, how could you resist? The blanket comes in both navy and ivory and chocolate brown and ivory. It'll cost you $295, by the way. And how about coupling it with this chevron lamp ($395) from Jill Rosenwald? It was featured in ELLE Decor earlier this year. The idea of creating a gallery wall--a collage of art--always intimidated me for some reason. For one, I'm the worst at hanging just about anything. Couple that with my ever-growing collection of art and picture frames from flea market escapades, and I was always left feeling like I wouldn't know where to begin and it would turn out to be one big mess. Well, I took a leap of faith and happened upon a dose of motivation somehow (likely from having my living room painted in a dark, dark purple), and decided it was finally the time to get it done. 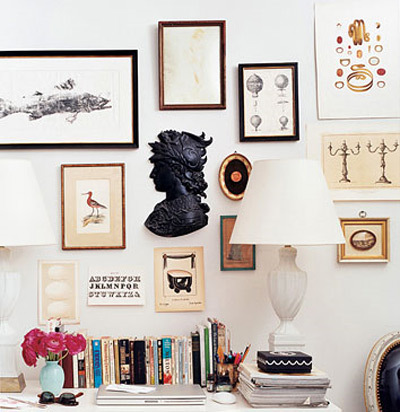 There are all kinds of theories about how gallery walls should be created, from the orderly version to my preference of mixing and matching the size and style of picture frames. 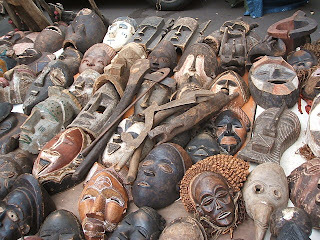 For my wall, I started the process by hanging several floral paintings I had around my apartment, postcards and an African mask. I even ended up hanging a wooden cross snagged from a vacation to Puerto Rico, a straw hat purchased at Target one summer and a hand-written happy birthday note I received and had framed a few years ago. I still have a little more work to do with it, so it will come together eventually. To be honest, the wall is somewhat chaotic, but I absolutely love it. Every item, big or small, means something to me, and that's all that matters, right? How fabulous are these "Porcelain Mortar" stools from Tucker Robbins? 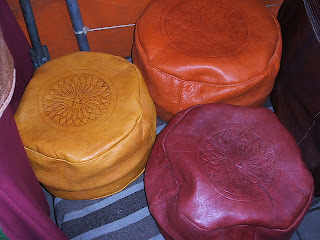 I just painted my living room in a deep purple and these beauties would go perfectly with my new color scheme. Any takers on buying me these for Christmas? Ha. I also love Tucker's "Lattice" stools. Gorgeous, gorgeous, gorgeous. Bathroom designer Helen Davies of U.K.-based Better Bathrooms was kind enough to write up a guest post for me on bathroom decorating. Read on, enjoy, and be sure to follow her blog, too. When decorating a bathroom, always aim to choose a style that you love – but do take care with the details, and balance your style aspirations against practical considerations. In the world of interiors, trends can change quickly. The bathroom cabinets you see in today’s glossy interior design magazines might be on top of tomorrow’s scrap heap. So while magazines, blogs and TV shows are great sources of inspiration, decorate to suit your needs and home rather than to emulate a style you’ve seen elsewhere. Trends will still move on – but if you’ve settled on a look you genuinely love, you’ll be happy to retain it regardless. When deciding on a bathroom decorating plan, don’t forget that the space will not be viewed as a single room ‘set,’ but in context with the rest of your home. For this reason, it's important to choose a style that complements the rest of your home. Carry themes and colors throughout the home to maintain a sense of continuity. No matter what its style, your bathroom is a space that should be designed to be used. If you’re remodeling, adopt bathroom furniture and a sanitaryware layout that works. On the other hand, if you’re simply redecorating, think carefully about the materials you use to ensure that your bathroom decor is durable. Make sure you incorporate sufficient user space into your bathroom layout. There is no point in having beautiful, ergonomically-designed and robust bathroom furniture, sanitaryware and brassware, if it’s all so squashed into your bathing space that there’s barely room for you to get in there with it. Industry experts’ recommendations vary, as does the standard bathroom, but you should aim to allow at least 60cm clearance in front of a sink and toilet, and 70cm alongside a bath. 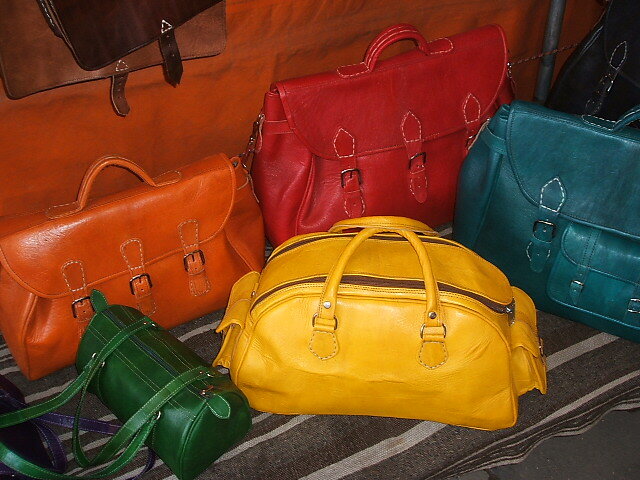 And your choice of materials is equally important. Think about the aftercare requirements of your bathroom fixtures and fittings before you commit to buy them and ask yourself if you have the time needed to devote to the upkeep of a high-maintenance bathroom. Laminate bathroom furniture, for example, will require less daily, weekly or monthly care after installation than wooden bathroom furniture. Different wall and floor coverings will have their own care requirements, too: natural stone tiles need special cleaning and sealant while their porcelain or ceramic equivalents simply need a regular wipe down. Love wallpaper, by all means – but try to fall in love with washable vinyl wallpaper if you plan to use it in the bathroom. And perhaps you could consider adding a backsplash made of tiles especially in wet areas, where wallpaper is not the most suitable material for the job. For the longest while, I've been mulling over the perfect paint color for my living room. Out of pure laziness, it's now a plain off-white hue and I've been eager to give the room some more life with a statement-making option. I'm now leaning towards a deep purple, which would certainly complement all the vintage finds and gold accessories I've accumulated over the past few years, but I'm still a little reluctant for some reason. As a way to find some comfort in my final decision on a paint color, I'm going to take some time to reference a few design magazines. They always open up my mind to new ways of looking at color and figuring out why certain ones work so well together. Of course, my stash of Domino back issues will come into play here. Then I need to spend a little more time thinking about the vibe I want the living room to give off, considering it's my go-to spot for lounging, working on my computer (like I am now typing this post) and eating dinner. Most importantly, though, I need to consider that my living room barely gets any natural light (hate this so much) and it's not a huge space so this all makes my decision that much more difficult. Wish me luck! I've voiced my disappointment over domino's folding way too many times on this blog (read my last post), so when I learned months ago that the magazine's then-editor in chief, Deborah Needleman, who now heads up WSJ. Magazine, was releasing a decorating book, I couldn't contain my excitement. 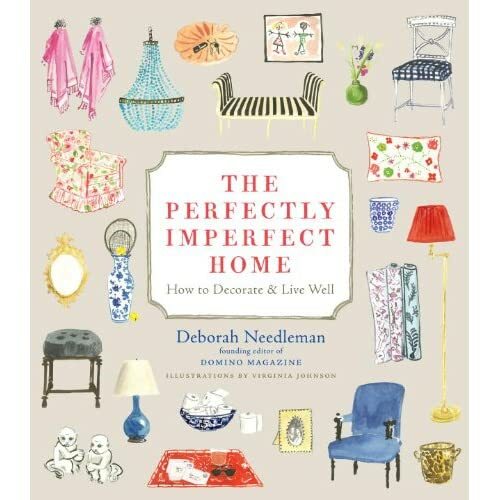 Well, the moment is finally here and Deborah's book, The Perfectly Imperfect Home, will be in stores on November 1. I was lucky enough to snag a preview copy and let me tell you it's MAJOR (yes, caps are needed here). It's been a while since I've been so fully satisfied with a design book. The concept behind the book is simply that a home works best and is most attractive when it contains elements that speak to the people who reside in it. It's meant to be lived in, and should always be an honest display of its owner's personality. I couldn't agree more. 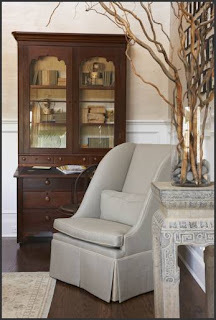 Deborah covers all the basics in the book (think choosing the right lighting and seating), and delves into some of my favorite aspects of decorating like how to display collections, art and photos, working with accessories from throws to log baskets, and simple ways to make a home feel as cozy and comfortable as possible. There's no doubt that this book will have a permanent spot on my bookshelf. It really is that good. 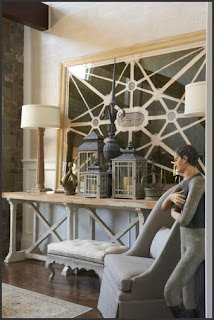 Mirrors are one of those items that can sometimes be overlooked when decorating a home and that shouldn't be the case. They're not only functional--they can open up small spaces, especially when we're talking about those with very little natural light. One of the best deals I snagged to-date was on a standing mirror with a wood frame that I purchased as a teenager. Even now, there isn't a day that goes by without me at least taking a glance in it before rushing out the house for work. It's just that useful, even after all these years. So whether it's a full-length mirror for your closet area (I've had my eye on this Ikea number) or a vintage one mounted on the wall over a living room sofa, think about where you might be able to use one. I'm sure you won't be disappointed. Televisions: For the Bedroom or Not? There have been so many theories on whether or not a television is fit for a bedroom and I doubt I'll ever change my stance that this is the one room in your house where it just doesn't belong. Nothing about a TV screams relaxation, which is the sole purpose of your bedroom, right? And if you're like me, you can never just watch TV for just a few minutes. You kind of get sucked into it, and before you know it, you've watched how many shows, wasted valuable time and have been cheated out of your much-needed rest. I personally opt for a TV only in my living room and lately, I've been getting frustrated with the look of it as silly as that sounds. It just seems to eat up any space. I'm trying to figure out if there's a more attractive way to keep it on display, whether it's as simple as hiding it behind a cute armoire or just mounting it to a wall in a way that makes sense for my space. I'll figure it out somehow. Between a string of annoying laptop issues and just life getting in the way, it's been a little while since I've blogged here. Instead of jumping right back into my decorating musings, I thought it would be fun to share some lessons I've learned since I started blogging. Here goes. Passion is everything. I started my blog simply because I wanted to share my personal take on home decor as an ordinary consumer--just like many of you. Reading magazines and the like full of well-styled photos of expensive homes and tips from the same crew of design experts seemed to be out of reach and quite frankly became frustrating. So I decided to take matters into my own hands to offer my thoughts on decorating, which is a topic I enjoy following personally. It really is a passion. Be yourself. Although I follow all of the popular design blogs (coco + kelley and Apartment Therapy are just a few of my favorites), I still stay in my lane. And by staying in my lane I mean that I write exactly what I want to write about even if it means that at times it's not the most popular topic or trend to cover. I follow my gut and am always honest in all that I write. Karma is no joke. You've all heard the line, "If you don't have anything good to say, don't say anything at all." I'm a firm believer in this. If there's a home product or interior designer's approach, for instance, that I dislike, I won't ever spend my time here writing lengthy posts about why they're all wrong. I just won't write about them. From the beginning, I've always intended for this to be a positive outlet and it'll continue on that path because there's no doubt that negative energy breeds negativity in one way or another. And that's one thing I don't want anywhere near me. Have some fun. Blogging, even for your personal enjoyment, can be stressful sometimes but I've found some ways to keep it exciting. I've attended my share of design industry events and even co-hosted an intimate mixer for bloggers (it was called "Bloggers' Delight") just to keep the fun going. Find ways to connect with others who are passionate about what you cover and I'm sure you'll find it rewarding. I absolutely adore French culture and visiting Les Toiles Du Soleil in New York City's Chelsea neighborhood this past weekend reminded me of this all over again. Les Toiles Du Soleil has a rich history dating back to more than 150 years ago in Saint Laurent de Cerdans, France, and was known as the go-to place for authentic espadrilles back then. Today, the NYC shop that opened in 2008 has the most colorful fabrics in stripes of all widths available for purchase by the yard, along with throw pillows, aprons, napkins, notebooks, magazine holders and more. I honestly couldn't get enough of this charming little store and would have spent more time there if I wasn't in a hurry. What made my experience at Les Toiles Du Soleil even more lovely was the personable owner who gladly chatted me up while I was there. I just love when that happens. Be sure to pay a visit, and do so soon, soon, soon! If you're a fan of Holly Becker's popular design blog, Decor8, hopefully you've had a chance to snag her new Decorate book that reveals all the secrets from insiders (think from Kelly Wearstler to Jonathan Adler) on creating the space of your dreams. On Tuesday evening, I headed over to Anthropologie in NYC for a book signing event with Holly and a session in which she shared her process on creating mood boards, an outlet she believes is useful for drumming up inspiration for any home décor project. Mood boards can be a compilation of pages from magazines or catalogs, pieces of fabric, postcards, photographs, paint swatches or just about anything that sparks your creativity when it comes to decorating. And it's not necessary for all the images to work together because mood boards really are a way to express your decorating sense and creativity. Another point Holly made was that there are many different ways to produce a mood board. You can design one in Photoshop, pull together items in a file folder or journal, or simply follow the regular route of posting your materials on a bulletin board. Whatever way you choose, just be sure to have fun with it. I always enjoy checking out a home furnishings store that stocks items across a wide array of decorating styles. Let's face it. There are very few people who stick to one style and one style alone. I, for one, love a unique vintage find (Brooklyn Flea is like my second home), but I also have absolutely no problem snagging a coffee table from a chain like West Elm or Crate & Barrel. So when I was invited on a tour of the spacious Lillian August showroom in Manhattan and discovered that it stocks furniture and accessories for just about everyone, I really felt like I hit the jackpot. (Oh and by the way, yes, I'm ashamed that I'd never been to Lillian August). We've all heard it could be cliche to have two identical lamps so close together, but for some reason, it works here. The lamps add a good sense of balance to the console table and the white shades coupled with the beige sofa work to give the whole area a light feeling. This set-up also confirmed that sofas have to be comfy. It's non-negotiable in my book. You likely spend most of your time at home using your sofa, so why in the world would you have it any other way? I've mentioned this before and I'll say it again. An office should boast bright, bold colors like those found on this red lacquer desk and lime green lamp and side table. Your office is most likely the one space in your home that you rely on to boost your creativity, so anything you can do to make it as lively as possible goes a long way and can even make you more productive. If I was lucky enough to have the option to take home one piece of furniture from Lillian August, this cabinet, which was made in India, would've been my pick. Every home should have that one standout piece of furniture or accessory that just makes people stop and take notice whenever they visit. But more importantly, the item should hold special meaning for you in some way. Instead of piling your bookshelves with loads and loads of books, always try to weave in fun accessories to give them more character. The vintage trunks, glass bottles and pottery shown here make for an interesting display. 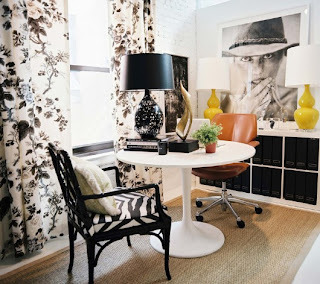 Don't be scared to incorporate elements of your personal passions or profession into your home. I have no interest in astronomy whatsoever, but I am, however, a huge lover of all things media-related. So throughout my apartment, you'll find anything from vintage magazines to the very first article I wrote for my college newspaper propped up on my desk in a nice frame. Just remember that your home should reflect your world and decorating should always be a breeze. Happy decorating! 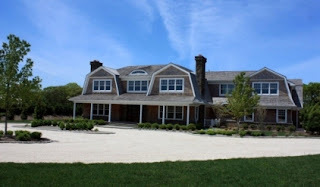 Every year, Traditional Home sponsors the Hamptons Designer Showhouse. Lillian August, Welhil Interiors and Eddie Lee are among those chosen to decorate this year's home in Bridgehampton. Check out a few pics. The house is open through Sunday, September 4. Are you the person family and friends turn to for advice on rearranging their furniture or finding the perfect sofa? Do you enjoy meeting new people and networking? Is there hardly anything you love more than writing and editing? If you’ve answered yes to all of these questions, I need your help with a project that’s very, very dear to me—this home decorating blog, Decor Musings. Note that this is an unpaid position, but you’d garner loads of reporting experience and make new connections. Plus, I promise I’m a joy to work with and the hours are beyond flexible. You must live in the NYC area. 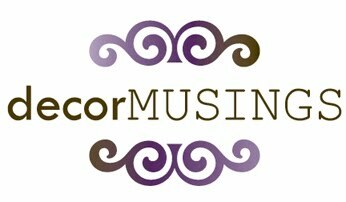 If you’re interested, shoot an e-mail over to info@decormusings.com with your resume, at least two interior design-related writing samples, and a brief explanation of why you’re the only one for the gig. Can’t wait to hear from you! I recently enjoyed a week-long vacation in Barcelona and Paris and my trip wouldn't have been the same without some good flea market shopping. Check out what I loved. A few weeks ago I was invited on a tour of Tamara Magel's home design shop in New York City's Soho area and couldn't have been more thrilled. She's so fun and down to earth and we had a lovely time chatting about so many things, including how to find your calling in life, her design philosophy and even summer decorating (she's a fan of simple furniture coupled with rugs and pillows in bold colors). Tamara started her career in finance, but always had a passion for interior design, which she says was fueled by the many antique shopping trips she took with her mother as a child. She worked as an interior designer for 10 years and finally opened her shop in January. Tamara draws inspiration from the many colors and patterns that defined the 60s and has a special affinity for fabrics hailing from Morocco and India, which are my personal favorites as well. Her shop contains the perfect mix of European and modern home accessories and furniture, and she's slated to release a line of textiles in the fall. If you're ever in the area, I highly suggest you pay a visit. You won't be disappointed. 1. Be prepared. Before meeting with your client, try reading up on his or her background to get a sense of their personality and lifestyle. You should've already spoken about the project at hand before meeting face to face, so take some time to think about different decorating themes the person may like and even some of the sources you may use for shopping. It's always a good idea to brainstorm beforehand to maintain your creativity level. 2. Professionalism goes a long way. The hardest part was scoring the meeting, but the work doesn't stop there. You need to deliver. By deliver I mean being punctual (so very important), well dressed and showing up to your appointment with a ton of ideas for possible design schemes that may work for the client. You also need to be able to clearly convey your overall approach to decorating, which you should've even already discussed prior to this meeting. It's the reason why you were hired in the first place. 3. Ask all the right questions. This is the time to find out absolutely everything you need to know about this person's lifestyle: what they like and don't like about their current set-up, the kind of pets they have, how they use the space on a daily basis, a description of their decorating style, the budget you'll be working with, etc. 4. Listen, listen, listen. It's crucial to listen closely while your client is explaining their needs. The worst thing would be to misinterpret what was said, so to help avoid any mistakes, consider taking notes during the conversation as a backup. 5. Set clear expectations. Be clear on everything from money matters to the decorating schedule. The key is keeping the line of communication wide open so that all involved aren't faced with any big surprises during the decorating process that could prevent it from running smoothly. Step into the Bungalow 5 showroom in Manhattan and you'll feel like running home to swap your belongings for items in their collection of fun, modern pieces. Although Bungalow 5's products are mainly available to the trade, you can find a selection of items at retail outlets around the country, including Layla Grace. 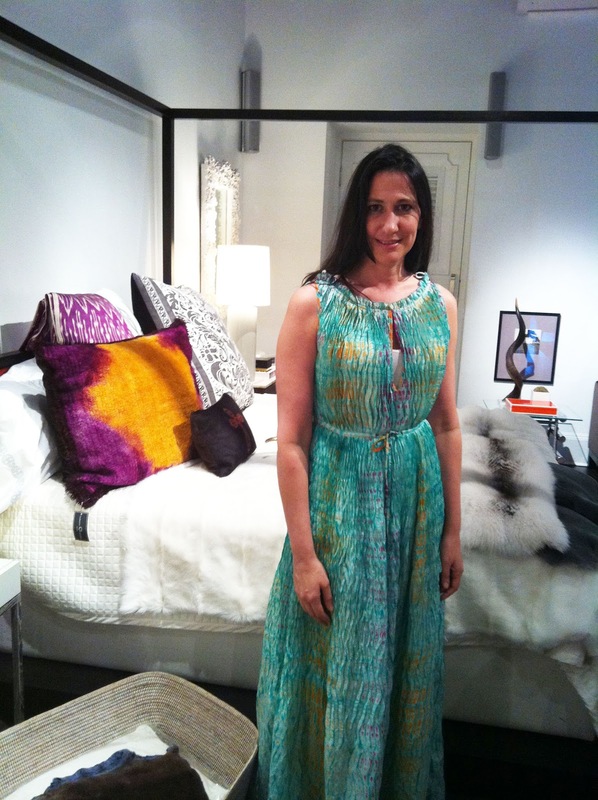 The company recently invited Jeanine Hays of AphroChic to showcase items from her line in their space, and I had the pleasure of checking them out at the showroom. 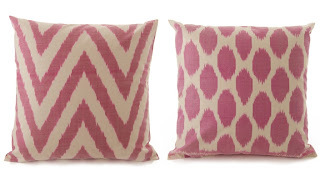 I especially fell for her throw pillows (see one I love below) and tablecloth runners. I find Jeanine's line to be very upbeat, as it features bold prints in colors that pop, and they have a bohemian feel to them. By no means are they for people who don't like making a style statement. How fun could that be, right? Are you the kind of person who lives for discovering that one special item that makes your home unique? If so, you'll love InteriorConnector, a website that features high-end home furnishings from independent designers, boutiques and artisans. I recently caught up with InteriorConnector's founder, Beth Neuhaus, to learn about her inspiration for launching the site and her passion for the world of home design. Decor Musings: How did you come to launch InteriorConnector? Beth Neuhaus: I practiced law for more than 20 years, but always had a passion for home design. I worked with a lot of wonderful interior designers over the years on my personal home projects, and as the Internet became more and more popular, I began handling my own sourcing. At the same time, as a corporate lawyer, I helped early-stage companies raise capital and I soon came to recognize that I wanted to start my own business. DM: What does InteriorConnector offer? 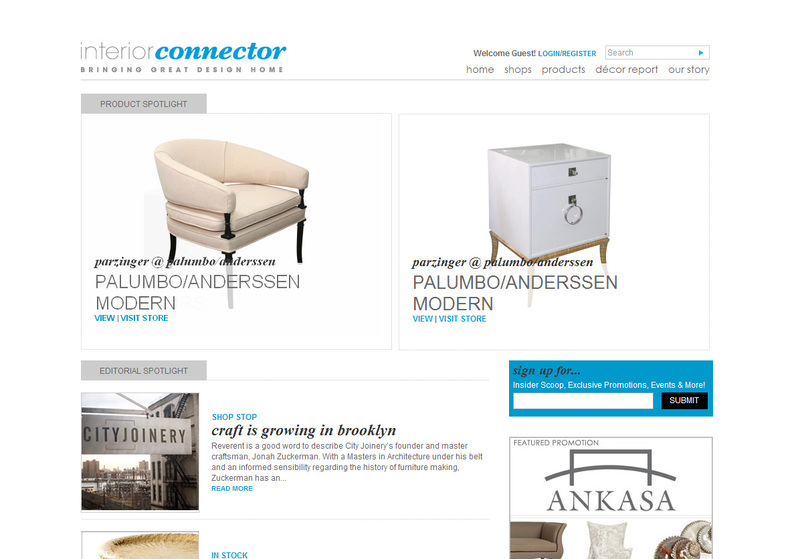 BN: InteriorConnector is a virtual storefront for independent home design sources, whether it’s Carolina George or Palumbo/Anderssen Modern. I’m targeting consumers who are design devotees who feel empowered by discovering home products on their own. DM: Your site has a great mix of commerce and editorial content, which feels very balanced. BN: Yes, it’s important because you can have all of these wonderful products for sale, but without the editorial content, there’s no way to put them into context. We have a section called “Shop Stop,” where we tell the story of each of our vendors. We also cover trends in the home category. We've done stories on everything from animal prints to how to decorate a space around a specific piece of art. 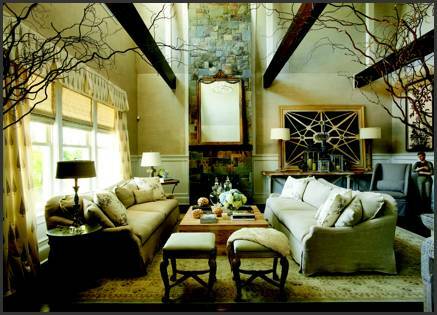 Then there's “Décor Basics,” where we feature interviews with designers and tastemakers in the luxury lifestyle space. DM: How do you decide on what products to feature on the site? BN: We look for high-end home furnishings that have a distinct look. They can range from any period of styles. DM: What kinds of design trends are you now seeing? BN: People are becoming more and more empowered every day from the Internet and all of the home design-focused television shows out now. They are learning that you don’t have to be rich and famous to be exposed to great design. Great design has become more accessible to people. 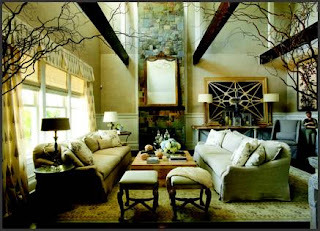 You can design your home and have one really fabulous piece of art that makes the space special, for instance. That's the goal of InteriorConnector. 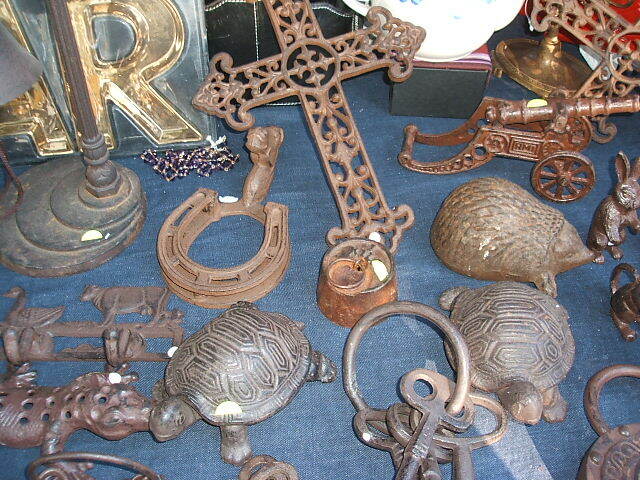 We want to help people find these special pieces for their home. DM: What’s next for InteriorConnector? 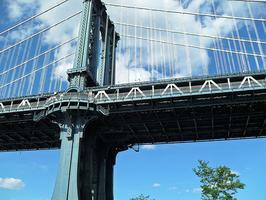 BN: Our initial launch was in the New York metro area. We’ll be launching in Miami soon and Atlanta will follow suit. We're also looking forward to having an international presence as well because our audience includes people from all over the world. Decorating a home both you and your spouse can fully enjoy is no easy feat. It takes work—and compromise—but you can get it done with little to no stress. Follow these easy tips to get started. Be honest. The first step in decorating your home together is to be very clear about what you both like and dislike. Do you go for more of an Anthropologie vibe, and your spouse is partial to BoConcept? Are there certain colors, fabrics or furniture either of you absolutely need to see in your home? 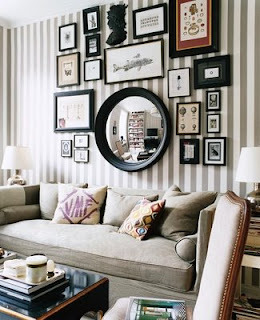 Is there one piece of art that holds special meaning for you, and so you must have a space for it in the living room? This will all save you time when shopping around. Compromising is key. Of course, it's not possible to witness every single piece of your decorating plan come to fruition and that's completely fine. Your partner may not be too crazy about your ever-growing collection of vintage picture frames or the hand-me-down sofa from your great aunt (that's clearly run its course). Whatever it is, know the battles worth fighting for, and try to reach a solution you both can live with. Shop, shop, shop around. Nothing beats visiting furniture stores or flea markets together to see how you both respond to certain items. It's one of the best ways to gain a better understanding of each of your decorating tastes and even pinpoint how much you're both willing to spend on different items. Designate duties. In some instances, it might be beneficial to give one person complete control over decorating particular areas of the home. Maybe the person who will be using the kitchen the most should decorate it, right? The same for the entertainment room and so on. You should consult with each other throughout the decorating process, of course, but the ultimate decision can be left up to the person in charge. ﻿Calling all lifestyle bloggers! Tonight, Thursday, June 16, from 7 to 9 p.m., I'll be hosting a mixer in Brooklyn, NY, with Nichelle Stephens of Cupcakes Take the Cake for lifestyle bloggers in the areas of fashion, beauty, food, and home decor/design. The event will be held at Linger Cafe. RSVP here. It'll be a good time. Promise.